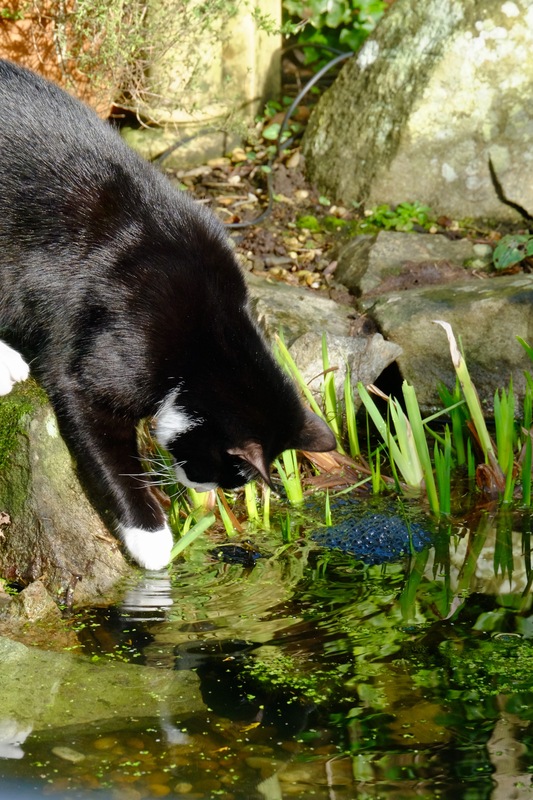 Another bright morning and Bertie was out playing with the frogs again. I have taken the brave step of setting my alarm clock so I get to see more of these lovely mornings. Time didn’t matter when Worth was at home as our days very much revolved round him. But I need a bit more focus to my days now as my time seems to have slipped round to me being late to bed, watching rubbish on tv and then late up. So I got out in the garden and did some work today. 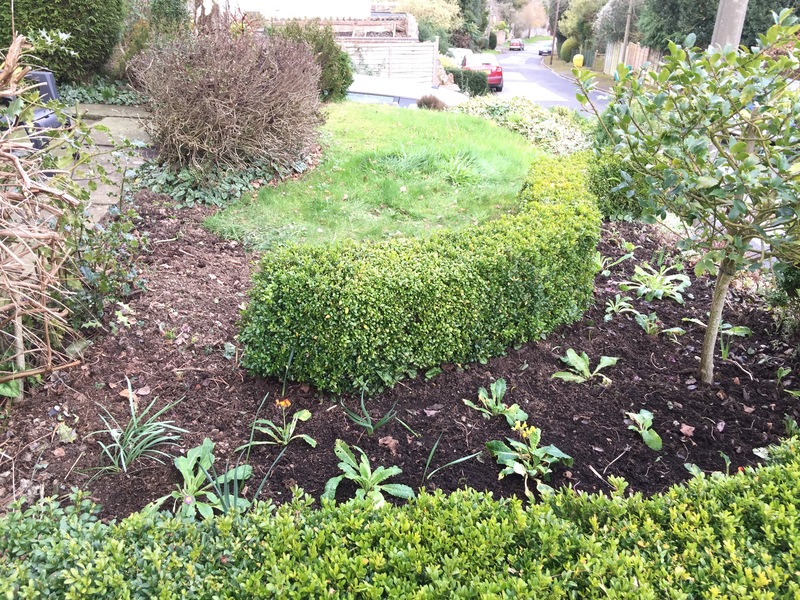 The plan was to clear a bit more of the infernal cyclamens then tidy up the bit I did before and plant it up with some polyanthus. All went well until I came to the tidying up bit. Someone, and I’m thinking he is black and white, has been using my newly tidied bed as a toilet facility so the job was a whole lot more tricky than I had expected. But in the end I was as very pleased with what I’d done. Ha! Someone who might be black and white? Hmmmm–wonder who that might be. So cute….